Copying the creations of others causes harm to all sectors of the economic, regardless of the scale. A copied creation is a creation whose author (you, the holder of the author’s rights and copyright) is unable to enjoy it fully. Trademark infringement: for example, the production of trademarked handbags by placing a false label on them and selling them at rock-bottom prices. Even though these models were never created by the company. Product infringement: this involves copies of articles, identical to the original, under a different name. This is the copying of a creation, a project, a text, a song, a film script, the content of a Web site, as well as of a programme, a piece of music, a system, a business plan. Taking action in an infringement case means reacting to the copying of your copyright and avoiding the damage caused by the copying: lost earnings, lost or reduced brand image, protection of your network of retailers, confusion in the choices of existing or future customers. Several forms of action are possible and depend both on your situation and that of the party infringing on your copyright. -to research who owns the site (site’s publisher), in the site’s pages (legal notices, general conditions of sale) or through the site www.whois.net. -Demonstrate the copying by means of a screen shot (ALT+Print Screen). -have the incriminated pages noted by act of a bailiff (unchallengeable) or by our automated online service. b/Entering into a proceeding through your attorney and requesting a seizure, which will not only end the propagation of the copying but also establish the damages caused by this copying. 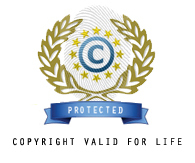 The damages will be established, for example, by seizure of the accounting records indicating, for example, your former customers, or the amount of the revenues gained from exploitation of the copied materials.